Matt Burg with a commemorative basketball from his teammates. Photo submited by Tri-Town Candid Pics. 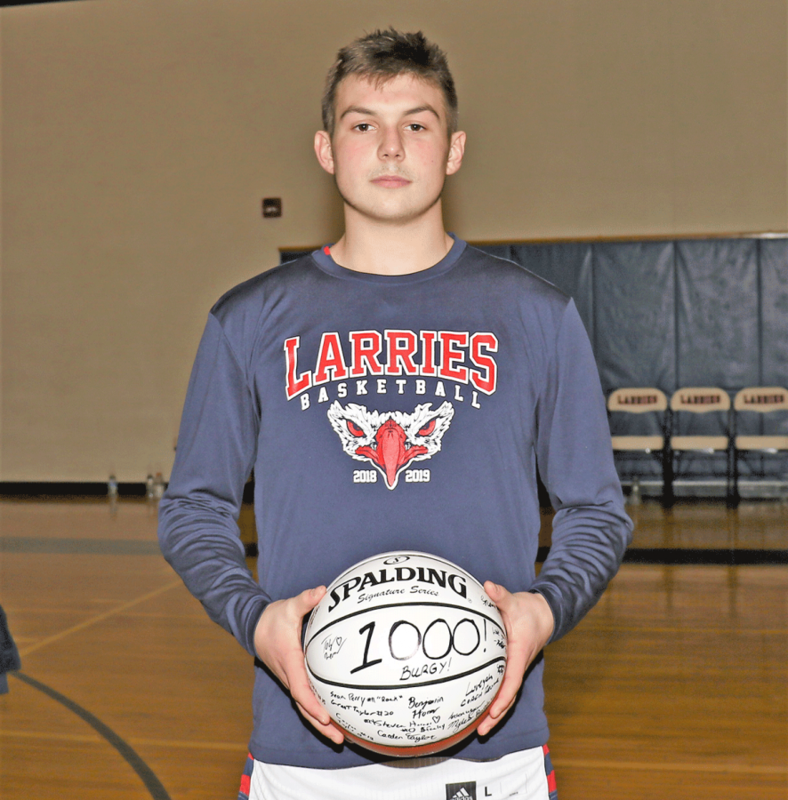 BRASHER FALLS -- St. Lawrence Central’s Matt Burg scored his 1,000th point in boys varsity basketball on Saturday, Feb. 2. He achieved the feat while playing against the Gouverneur Wildcats on the Larries’ home court. He is the school’s fifth-highest all-time scorer. He is also the fourth finalist for the Joe Jukowski Award, with the winner to be announced Feb. 26.